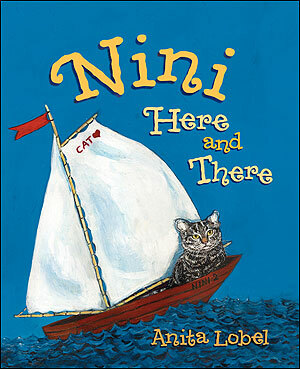 A Cat's Tale Hits Home in 'Nini, Here and There' The new children's book Nini, Here and There, by Anita Lobel, explores the value of home through the eyes of a family member who is sometimes underfoot, but not overlooked. Nini, the striped tabby cat, fears she'll be left behind when her family goes on a trip. 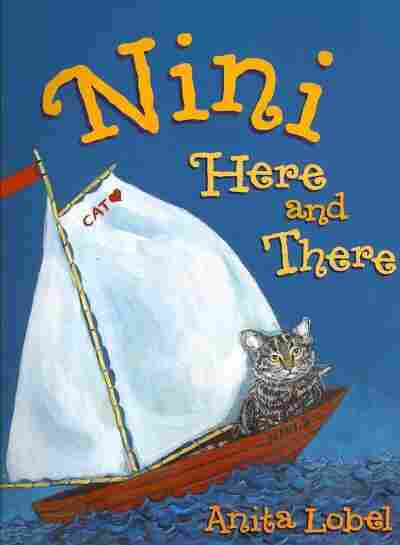 In Anita Lobel's Nini Here and There, a striped tabby cat worries that she'll be left behind when her family leaves on a trip. For many families, summer vacation means packing up the car with all the items they need to make a home away from home. The new children's book Nini, Here and There, by Anita Lobel, explores the value of home through the eyes of a family member who is sometimes underfoot, but not overlooked. 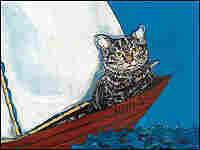 Nini the striped tabby cat watches her family pack for a trip and worries that she'll be left behind. But she's zipped into a carrier and soon falls asleep dreaming about adventures. When she wakes up, Nini finds herself at a beautiful countryside home, her family by her side. Lobel illustrates Nini in watercolor and gouache, capturing her expressions in full-page portraits. And Nini's message for children is universal: You don't need four walls — just your family — to make a home away from home.